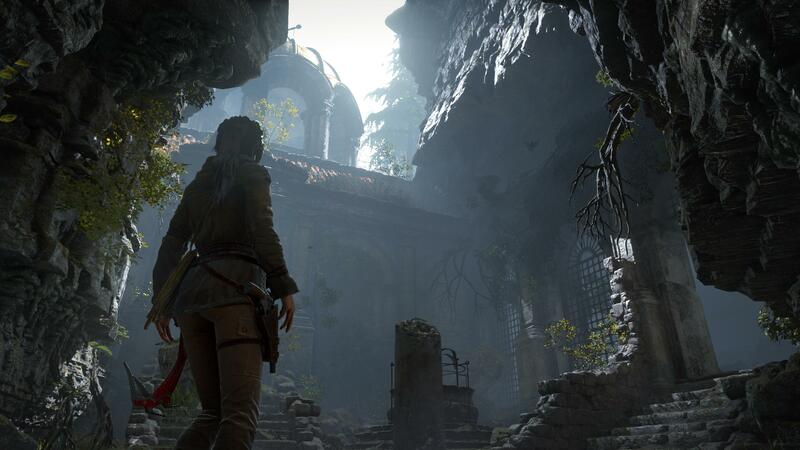 Yesterday, some press releases (including the one reported by Xbox Wire) mentioned that NVIDIA’s VXAO technology will be featured for the first time in Rise of the Tomb Raider for PC, due on January 28. VXAO is an unreleased technology which was mistakenly listed in select news releases. We will provide details as soon as they’re available. It seems like NVIDIA didn’t really intend to publicly divulge this yet, which explains why only a few press releases had the information. Still, that doesn’t mean that we can’t speculate ahead of the official reveal. The name itself is already quite telling: we’re most assuredly talking about voxel based ambient occlusion here. 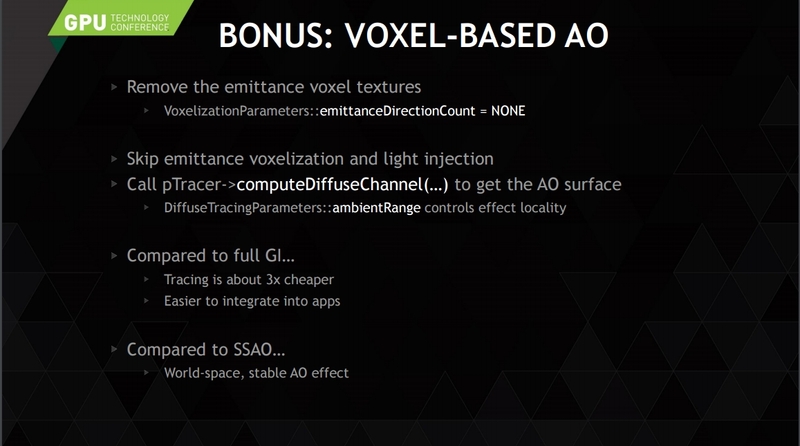 We did some research and as it turns out, NVIDIA did talk about this technique a little, though it wasn’t labeled VXAO yet. Specifically, NVIDIA’s Alexey Panteleev (Developer Technology Engineer) talked about it as part of his speech on VXGI during the GPU Technology Conference 2015, held last March in Silicon Valley. You can find the full slides in PDF form here, and the video presentation here. Let’s take a closer look at VXAO, then. According to the slide, this technique’s tracing is approximately three times cheaper than full fledged Global Illumination. The results of SSAO are not always correct. For example, when geometry comes near the screen edge or when a far objects is close to a near object in the screen space. Voxel based ambient occlusion has no such problem. 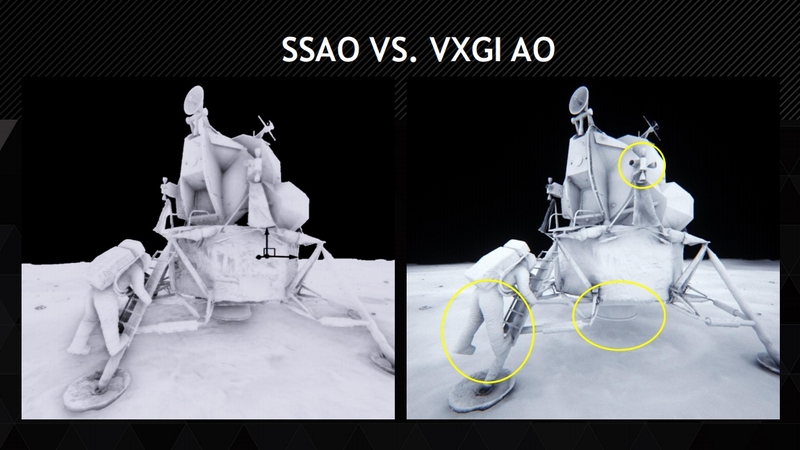 The next slide provides a rendering comparison of SSAO versus VXAO. That’s the extent of what is publicly available about this technique. Though of course, there’s the question of what happens now to HBAO+, NVIDIA’s prized ambient occlusion technique which was finally getting widespread adoption in games. Is VXAO supposed to replace it outright, or will these be alternative and competing techniques to be chosen by developers on a case by case basis? Obviously, we’ll be sure to report the official details when NVIDIA will be ready to divulge them.